In Discovering Your Spirit Animal, shamanic healer Lucy Harmer presents a practical approach to understanding spirit animals and applying their power to specific situations in daily life. 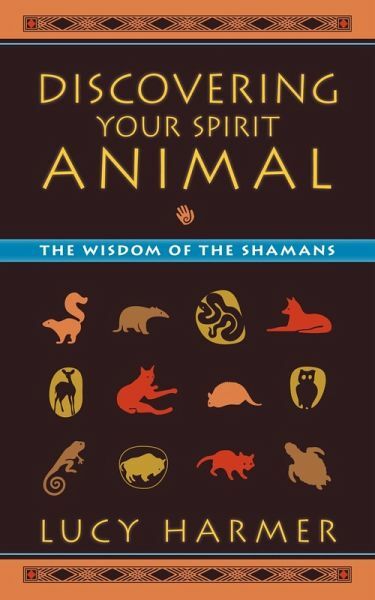 Written in clear, simple language and featuring compelling stories and anecdotes, the book explains what a spirit animal is, describes its purpose, and shows that understanding the "medicine" of one's spirit animal-assimilating its qualities and characteristics-allows one to apply the lessons and messages they convey and use them for personal transformation. Lucy Harmer notes that particular animals that cross one's path or appear repeatedly nearby probably want us to share in their medicine, their teaching, their energy, and their spirit. Discovering Your Spirit Animal provides guidance for meeting and getting to know one's spirit animal through easy exercises and shamanic techniques. Lucy Harmer explains how to discover the strengths, qualities, and skills one shares with one's personal spirit animal, enabling one to learn how to reinforce this connection and access innate wisdom and inner power, overcome fears, increase natural healing capacity, and improve relationships. Lucy Harmer is a Celtic Shamanic High Priestess, a feng shui and space clearing expert, and an international author and teacher. She is an acclaimed speaker at alternative health and well-being events worldwide, has published articles in international media, and appears regularly on Swiss television. Harmer runs a shamanic healing practice, and is the founder and director of the Innerelf® Centre, a thriving business that promotes transformative and inspirational living. Her book, Shamanic Astrology: Understanding Your Spirit Animal Sign, was published by North Atlantic Books in 2009. She lives in Switzerland. To learn more, visit www.lucyharmer.com.